Gulets are great … But what makes a gulet – luxury type? Unfortunately, in Croatia there is no official categorization for gulet type boats, so each agency and owner determines on his own, what is a luxury and what is not. This checklist is our own personal opinion, of what every client of ours should experience when he books a cruise via our company. This list could be subjective, but it was done in good faith and based on more than 14 years of experience and more than 300 gulets already inspected (not only from Croatia but also from other destinations). 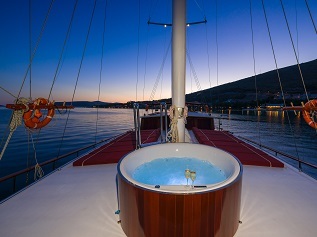 This is what you should experience on the board of a luxury gulet in Croatia. Amazing first impression, crew 100% ready for your arrival, nicely designed welcome drinks & snacks. The representative of our agency that assists you and says hello when you arrive. 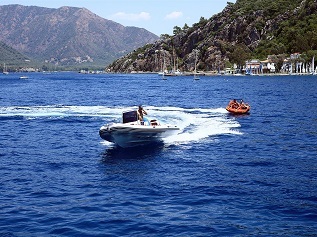 Organization of transfers to your gulet. Inspection of the gulet and making sure everything is perfect before you arrive. The crew is aware of your celebrations, allergies, food wishes, group structure, drinks expectations and locations you wish to visit. They know how you wish your relationship with the crew to be like and they know how they will make you happy during 7 days you stay there. Communicating all your wishes to the owner. Help with planning out the itinerary & additional trips and activities. Makings sure the owner pays special attention to every detail that was noted through the booking procedure. Will speak perfect English and wear a uniform all the time. 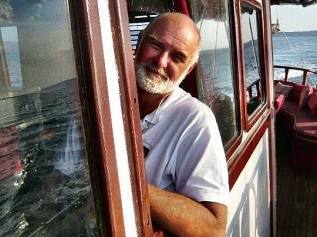 He knows he is not there to only drive the vessel, but also as a host and as an adviser to Your group. He will always strive to show you places that will impress you. We always work closely with captains in determining if everything runs smoothly and your cruise goes according to what you expected. Will speak minimum basic English and wear a uniform. He will prepare dishes, that will impress everyone. Flexibility is expected. He will go an extra mile to get that standing ovation he deserves. 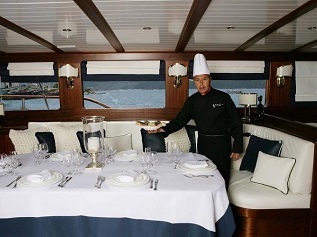 There will be a nice combination of your food wishes, the menu they serve on board and the knowledge and “magic touch” that each chef provides on his own. Agency part is to determine your expectations and explaining those to the chef, who will incorporate them in his menu for your maximum satisfaction. Food will be fresh, local, quality type with lots of variety. You will never be hungry and each meal needs to be a special experience. It is a hard job, but someone needs to do it. Every year we inspect what type of food they serve on gulets and if they fit the “luxury standards”. Your cabin & bathroom will be cleaned every day. Drinks professionally served & chilled. There is always fresh fruit and some snacks available all the time. The table will be professionally set during meals. 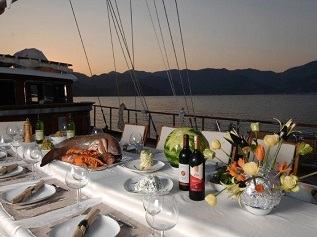 We have a long and detailed list of services we expect on every luxury gulet in Croatia. We provide the list to each owner we work with and it is a part of the cooperation agreement we have. If some services are not up to your expectation, we have a 24/7 line, where you can easily state your concerns – and we solve it immediately. The smell on the gulet is perfect (incredibly important). Gulet is nicely painted and varnished (deck as wells as cabins and bathrooms). Gulet is clean and has a nice “sparkling factor”. 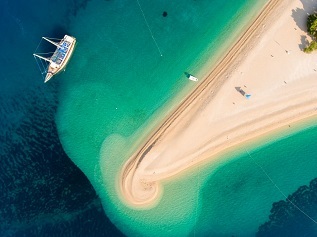 You will know what we mean by this, when you arrive on the gulet. Every year we inspect all the gulets on our “luxury list” several times. We “smell” the gulet and check in what kind of shape the vessel is. 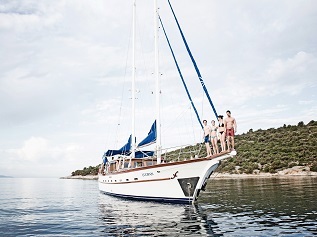 Gulet will have a powerful zodiac with minimum 40 Horse Power engine (more is better). Water skiing equipment, doughnut ride or banana along with canoe, snorkels, and masks are a bare minimum to have on board. Extra additions which are becoming a standard are wake board, sub-glider, paddle boards & jet ski. This list is also a part of our agreement with the owners. The best part of a true “luxury gulet cruise in Croatia” is the flexibility of the gulet owner, which is most of the times on board of the gulet. Owner will always do his best to make you happy and will do everything humanly possible you go home with tears in your eyes (the good tears, not the bad ones). 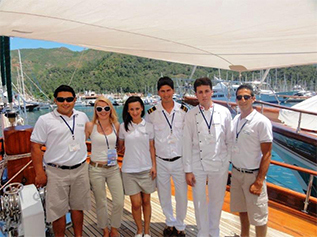 We know personally each gulet owner we work with. Most owners on this list are our long term partners and we cooperate with some for more then 10 years. Lots of times our relationship goes beyond business (we are friends) and this enables us to have “more flexibility” toward our clients, while owners will make an extra mile for our clients. Wish to see if the owner is okey? We love to put you in direct contact so you can have a chat with him directly before you book your cruise. 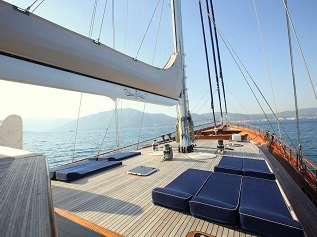 Each luxury gulet needs to have all the technical info specified in details. You also need so see a crew report, bar price list, high-quality photos, all the amenities specified and detailed price list, general terms and ships rules. When you arrive on a gulet, only surprise you need to have is that it all feels and looks even better in person, then on the pictures. We hate unpleasant surprises so we go into huge depths when collecting all the info from the owners. Need to know the shoe size of your captain? We have you covered.